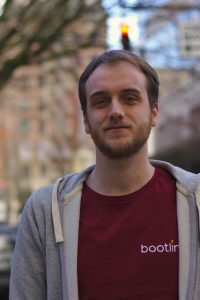 Maxime is an embedded Linux engineer since 2014. He joined Bootlin in 2018. His first contact with the embedded Linux world was during a project in the aerospace industry, where he worked on the “Comedi” drivers for analog and digital acquisition boards. He then developed his experience at OpenWide Ingenierie, working on various topics ranging from bootloader setup with U-Boot and the ARM Trusted Firmware, to kernel driver development and debug on SPI, USB, Bluetooth and Power Management subsystems. He also maintained Yocto Project based layers for various customers and worked on user-space applications based on Glib and D-Bus. At Bootlin, Maxime has been focusing on Kernel Networking topics and BSP development with Yocto Project. He contributed various new features in the PPv2 driver for Marvell platforms such as VLAN and MAC filtering, big-endian support and RSS offloading. He also works on improving support for Marvell PHYs and switches. Measuring the Impacts of the Preempt-RT Patch, Embedded Linux Conference Europe 2017, Prague. Bluetooth Low Energy (French), Capitole du Libre 2016, Toulouse, France. Introduction to Linux Power Management (French), Toulouse Embedded Meetup, 2017, France. From the Ethernet MAC to the Link Partner, Embedded Linux Conference Europe 2018, Edinburgh, with Antoine Ténart.